4 Keys for a Successful Diet Plan: Keep It Simple, Tasty, Filling, Successful! How do we lose weight - and keep it off? While there is no single "magic bullet", research has shown us that certain food, exercise, and behavioral strategies will give us our best results. Success starts with a realistic, achievable food plan. Here are four key components - requirements for success - that you should have in place as you set up your plan. These four keys apply regardless of your diet preference - vegetarian, Paleo, Mediterranean, Nordic, etc - the details may vary, but the principles remain the same! 1. " Food has to be SIMPLE ENOUGH." Translation: If we can simplify healthy eating, we are more likely to succeed. Simplicity and convenience can improve success. Life is complicated, and we can become exhausted by “decision fatigue”, if we have too many choices to make! We have to choose nutrition which matches our lifestyle. Many busy people find success by using nutritionally complete, medically-designed meal replacement shakes, fortified with vitamins, minerals, and high quality protein - these are complete meals that require only water, and they are ready to go. The most important keys to success are to “select and stock up” on your healthy meals and snacks. Translation: Food has to be tasty enough, or you won’t eat it! We don’t need to eat gourmet, five star meals all day long, but If something tastes like cardboard, we are going to reject it. Choose your simple, healthy meals and snacks so they are “tasty enough” that you will actually eat them! Food is more than fuel, it also has to be a little fun! Translation: We need food to keep us satisfied, and keep our energy up throughout the day. Food has to have the right balance of PROTEIN, carbohydrate, and fats, plus have proper ‘micronutrients’, and these have to be distributed (scheduled) throughout the day. The bottom line - we know what doesn’t work - those 100 calorie sugar-carb-filled “snack packs”! They leave us feeling drained and tired, and starving at the next meal! Properly designed and balanced meals and snacks not only taste good, they make you feel good. Translation: we need to see success, to stay motivated. If we are trying to lose weight, get healthier, improve our fitness, or meet other goals, we are going to need to actually SEE improvements, in order to stay on track! When we see results - including things like improved blood sugar, cholesterol, levels, improved muscle tone and strength, etc, we are going to feel highly motivated to keep giving our bodies what they need! It makes sense to choose nutrition scientifically, to get the best results, rather than simply guess what might work, or listen to some crazy scheme on Facebook promoted by a random blogger. Research has become quite advanced, pointing us in the right direction to get our best results. It makes sense to go with what is proven to work. Remember, these four keys apply regardless of your diet preferences - vegetarian, Paleo, Mediterranean, Nordic, etc - the details may vary, but the principles remain the same! We can help you create a sustainable, realistic, successful plan, depending on your preferences, and your needs (including medical and lifestyle needs.) We provide 1:1, private, personalized coaching at our office, online, or via phone/Skype - whatever works best with your lifestyle. 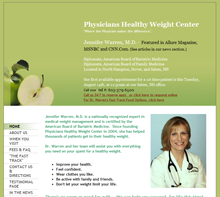 Call today: (603) 379-6500, and read more about our program at healthyweightcenter.com.